Sciblogs | Why aren’t more Kiwis involved in the International Space Apps Challenge? Why aren’t more Kiwis involved in the International Space Apps Challenge? On April 20-21 of this year, people all over the world will be taking part in a truly awesome hackfest – the International Space Apps Challenge. It describes itself as ‘a technology development event during which citizens from around the world work together to solve challenges relevant to improving life on Earth and life in space‘. A map of the locations involved in the International Space Apps Challenge. Note that there’s only one NZ location. 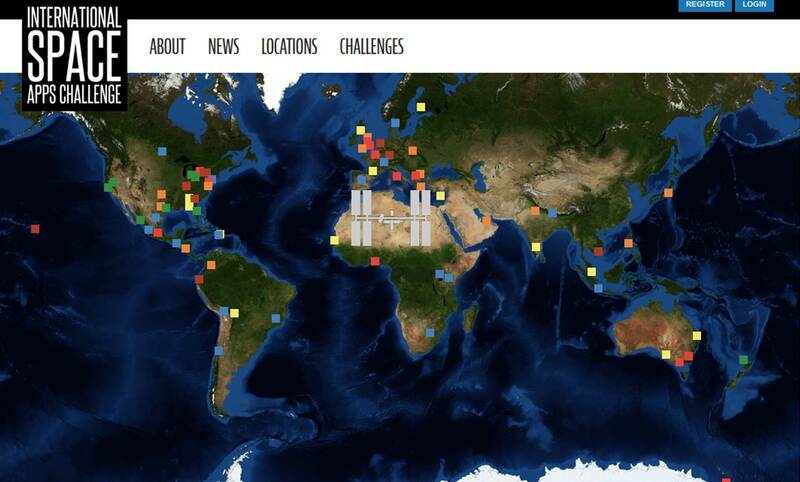 In 2012, over 2,000 people joined in from 17 countries and, according to the site, 101 open source, unique solution to earth and space-based challenges were created. This year, over 75 countries around the world are involved so far, and (hooray), New Zealand is one of them! Participants will have over 50 challenges to hack away at, including Detecting Near Earth Objects (or: how I learned to stop worrying and find the asteroid), telling the story of space to the world better, and more. Organisations involved include NASA, the European Space Agency, Japan Aerospace Exploration Agency, TechShop, the National Science Foundation, and others. However, I note with sadness that Auckland is the only NZ centre involved. Given (ahem! software peeps!) that Wellington and Christchurch are heralded as major software/app/hack nests, why on earth are those centres (at the very least) not involved? Of course, you can also participate virtually from anywhere, but I still think it would be good to get some real-life/meatspace events going here in Kiwiland. A video to get you inspired, and oodles more videos and information and whatnot on the ISAC website. * It’s difficult to see, from the site, whether it’s still possible to register as a new location for the challenge – if not, though, there’s no reason we can’t gather together (even in person) to join the virtual location, and commit to having more official NZ locations next year!